Hands down, this book is one of the best I’ve read all year, and easily makes the list of my top ten favorite books of all time. David Mitchell has the rare ability to span an enormous amount of time, without stretching the story too thin or expelling the details through mind-numbing purple prose. His characters are as real as you and me, and their stories break your heart. The novel begins with fifteen-year old Holly Sikes running away from home to be with her boyfriend, only to find him sleeping with another girl. She then embarks on an adventure to find herself, and in the process discovers that her childhood imaginary friend was, in fact, a member of a hidden society that manipulates time and feeds on the psychic energy of the living. From there, Holly becomes involved in an ancient war between good and evil, while society collapses in the background. In addition to the delightfully monstrous main plotline, I was exceptionally impressed with Mitchell’s careful prediction of the future. To me, it proved just as full and interesting as the rest of the story. It was mainly this aspect of the novel that left me in a daze after reading the final page. In all, I highly recommend this book to all types of readers, however, be prepared to come away with a dull ache in your chest, and perhaps a little bit of fear. 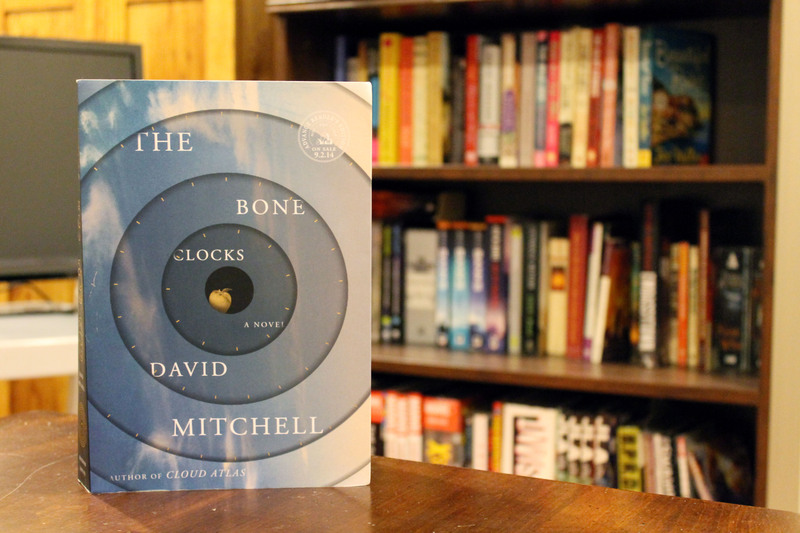 This entry was posted in Book Reviews, Fiction, Recommended and tagged book review, books, David Mitchell, post-apocalyptic fiction, The Bone Clocks. Bookmark the permalink.